Goodall Homes would like to introduce you to The Mansfield. This is a dramatic two-story home with a first floor owner's suite. This home features a Formal Dining Room and Study. Also has an optional 4th Bedroom and full bath layout. The Mansfield features an open kitchen with a serving bar. The optional Bonus Room overlooks the 2-story Great Room. 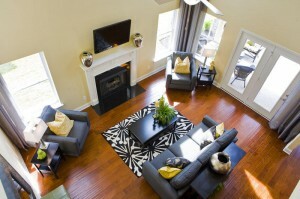 This floorplan is also available with an optional Covered Outdoor Living area. A 3-Car Garage is included. 2,471 Base Sq. Ft. The Mansfield is currently available in our Ladd Park (Franklin), Bent Creek (Nolensville), and Windstar Bay (Hendersonville) communities in middle-Tennessee. For more information, please call Amber at (615) 448-8929 or email her at goodallonline@goodallhomes.com.